Under the proposed measures, Royal Hobart patients awaiting discharge or transfer will be moved to chairs and given a bell “to attract attention in case they need any assistance”. Prime Minister Scott Morrison was asked this week if he would step in and help run Tasmania’s public health system. “I don't think it's okay,” he told Parliament. The plan to seat patients comes from the hospital’s Over Capacity Protocol, a document recently circulated to staff for discussion. “What we know is when the hospital is very busy and patients are ready for discharge, and they are waiting for scripts, [or] they are waiting for someone to pick them up, they will often be waiting in a bed when someone very sick in the emergency department in unable to get into that bed,” the Royal's executive director Dr Craig Quarmby told reporters. The hospital is currently dealing with claims that some mental health patients have had to use folded towels as pillows and bedding, while sometimes waiting days for treatment. Dr Quarmby said moving people from a bed to a chair would only be for “strictly identified patients who are ready for discharge or transfer from the RHH”. “We are not putting patients in store rooms. There is a room in one of the wards that was a consulting room with an ensuite bathroom,” he said. “That room wasn't used when the ward was redeveloped, and staff started putting things in to store. This room isn't a store room. “We wouldn't dare put a patient who isn't well enough … in a chair, or is not well enough to be in another area. “[They] are still in line of sight with nursing staff, [and] still able to contact staff. 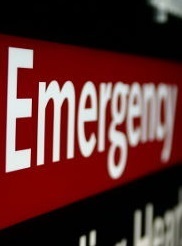 The Australian College for Emergency Medicine has described the proposal as a common sense way to take pressure off the Emergency Department. Australian Medical Association spokesperson Frank Nicklason said it is the “least worst option”.